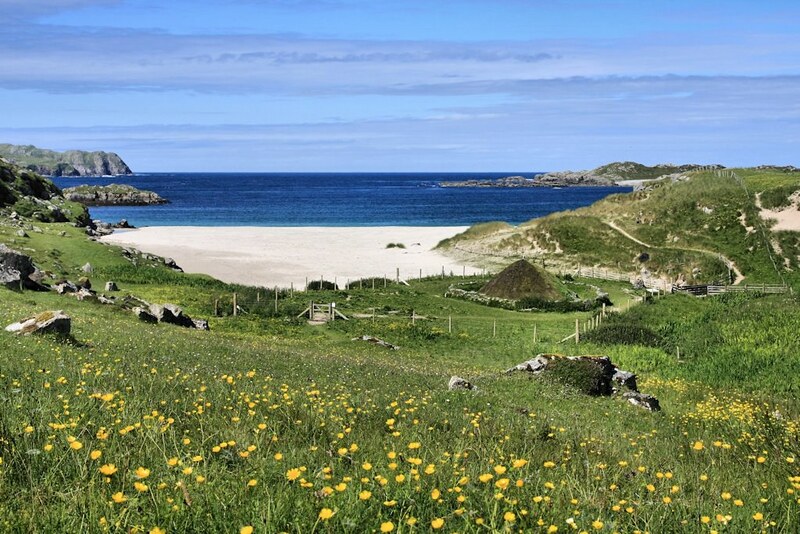 Dan Harris has been island hopping in Scotland’s Western Isles, here’s what he found out. What do you do for a holiday if your country has just heedlessly voted to devalue its own currency? Well one thing is to take a bit of gamble on the weather and look a bit closer to home and, to be fair, when you live in a country that disregards the forecasts of economists about a post-Brexit economy, then disregarding the forecasts of the Met Office is the next logical step, even if years accumulated climatic data and complex mathematical models suggest the odds are stacked against you. And so with unrealistic expectations of a brighter tomorrow, we hopped on the ferry at Ullapool and set sale for the Isle of Lewis. For those unfamiliar with Scotland’s geography, the Isle of Lewis is the largest island in the Western Isles of the Outer Hebrides. More accurately, it is just over half of the largest island in the Western Isles of the Outer Hebrides, because confusingly, the southern half is called the Isle of Harris, despite being part of exactly the same landmass. 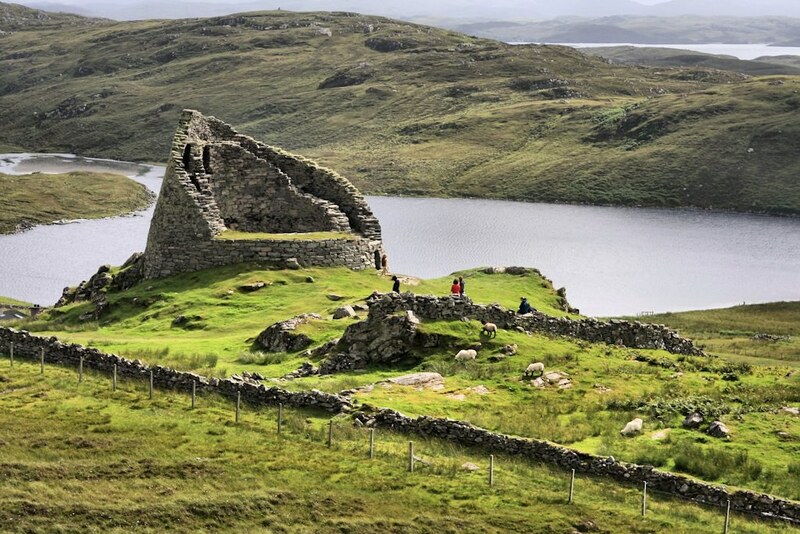 There are brochs on Lewis, awesome ones. Situated on Europe’s Atlantic edge, Lewis and Harris are both astonishingly beautiful islands, with everything from vast, white sandy beaches to precipitous, rugged hills and mountains. You might be able to tell, it didn’t really take that much to convince me to visit them, even if the weather was more promising in the Mediterranean. But I’ll pause there, because this isn’t supposed to be some kind of ‘what I did on my summer holidays’ type essay, of the sort you had to write on your first day back at school. No, this is essay is supposed to have some relevance to the Blog and oh what relevance there is! 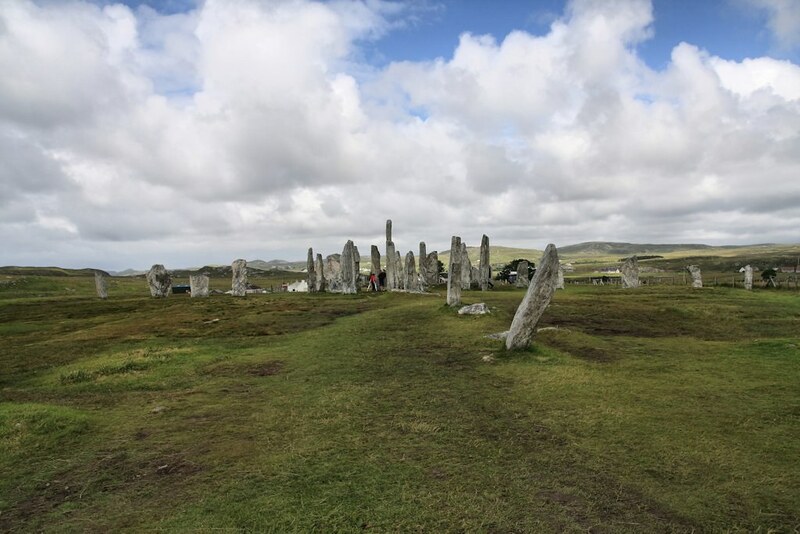 Not only beautiful, the Outer Hebrides are also home to some of Scotland’s finest archaeological sites and so this trip wasn’t just a holiday, it was also a field trip. There were three sites in particular that we wanted to visit and by happy coincidence, they are all within a few miles of each other, on the western coast of Lewis. 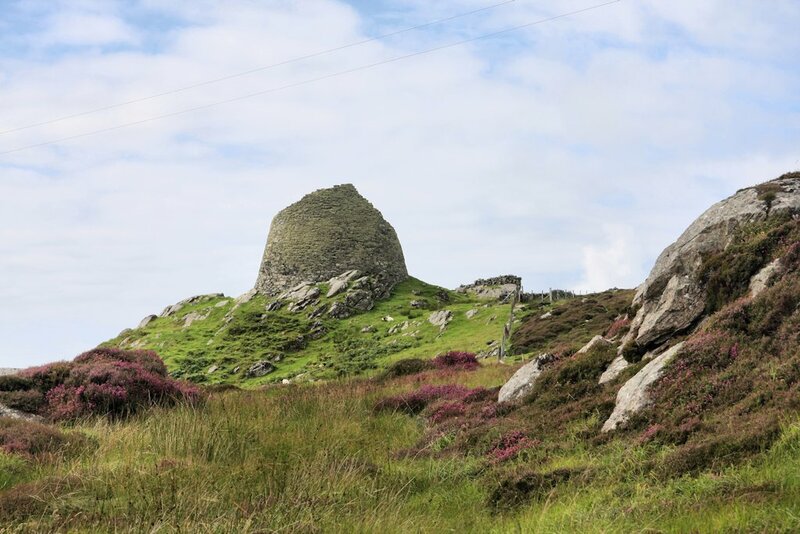 Of greatest relevance to our current work was the Dun Carloway Broch. 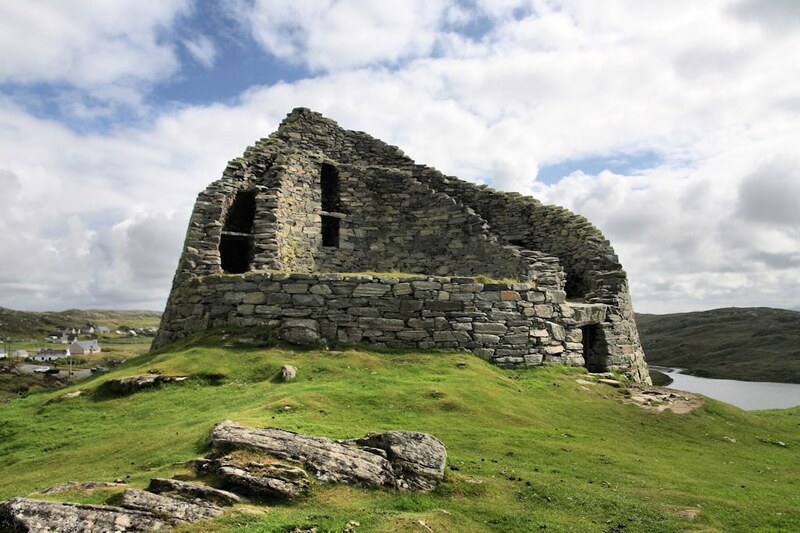 This remarkably complete structure, perhaps second only to Mousa on Shetland, is thought to date from the late first millennium BC and the late Iron Age. It’s south side stands almost intact to what is thought to be its original height of 9 metres. Remarkably, people alive in the 1830s remembered seeing the broch in a near-complete state, roofed over with a large flat stone. 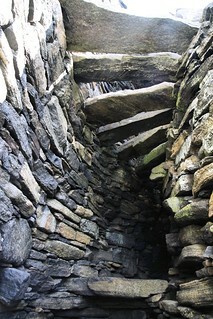 The broch has a well preserved entrance, guard cell, intra-mural staircase and cavities, scarcement ledges and ground level chambers. 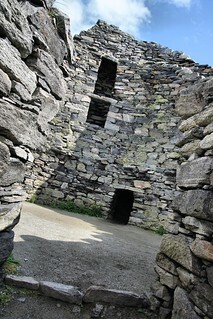 The ground floor of the broch is uneven and contains a large slab of bedrock, suggesting that a second timber floor would have been the main living space. 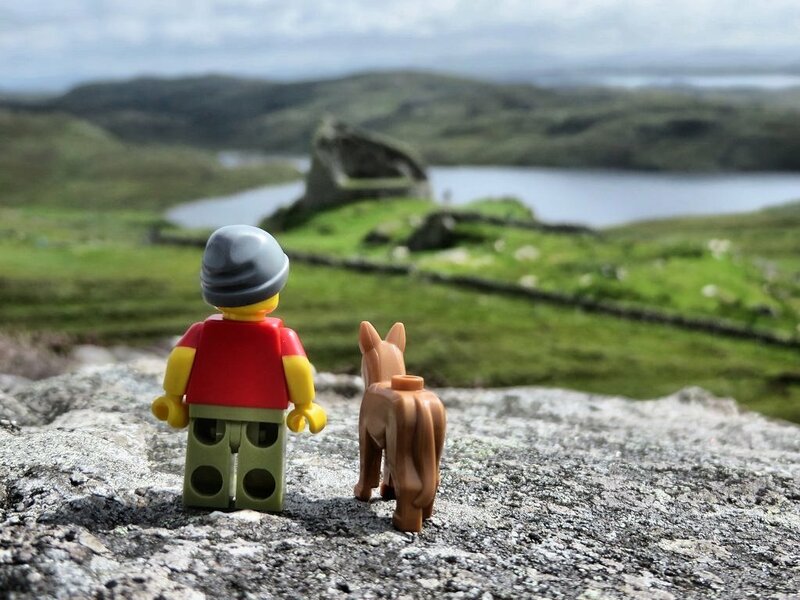 The broch proved an excellent source of first-hand information to help inform the construction of our own Lego Broch for Caithness Broch Project…despite not actually being in Caithness. 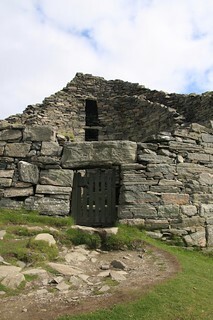 South eastern side of Dun Carloway. 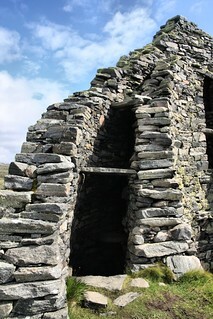 North western side of Dun Carloway. Just south along the coast is another of Scotland’s best archaeological sites, the Callanish Complex of Standing Stones. These are somewhat older than the Broch, dating back to around 3,000 BC and the Neolithic period. The complex comprises of at least 19 visible monuments as well as many now hidden remains. The best known and best preserved is known as Callanish 1 or Cnoc An Tursa, located just to the west of the village of Calanais. While we don’t have any immediate plans to build any more stone circles, it’s always worth having a few examples stored up, just in case we do decide to. Building an accurate model of Callanish 1 would certainly prove an interesting challenge. 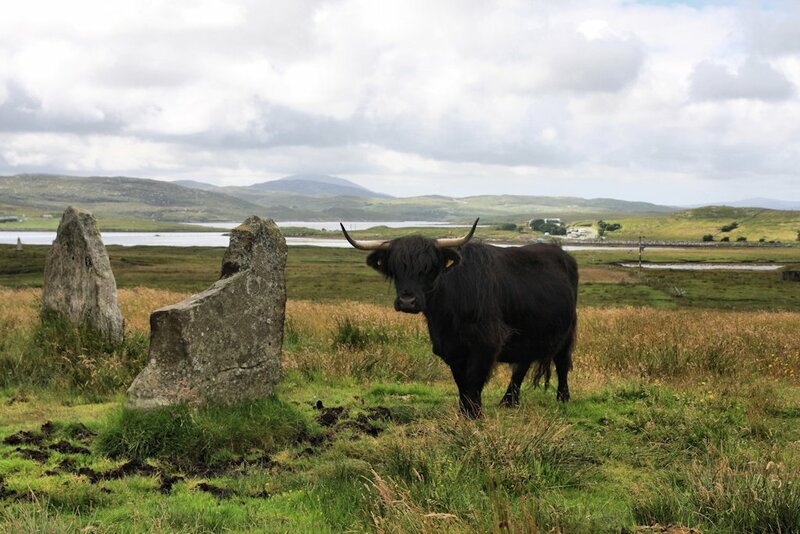 Neolithic stones and highland cows. The final site visit took us to the island of Beàrnaraigh Mòr, perhaps better known as Great Bernera, which is connected to Lewis via a short bridge. On its northern coast lies the sandy bay of Traigh Bostadh where in 1993, following a severe storm, the remains of a Viking house and older Iron Age village were uncovered. Evidence suggests that the bay was occupied at least as far back as 1,500 years ago by people thought to be Pictish in origin. The Iron Age village proved the most interesting find, comprising of a complex of semi-subterranean, drystone dwellings of a ‘jelly-baby’ shape. The local history society has built a life-size reconstruction of one of these Iron Age dwellings, which can be visited for a small donation. 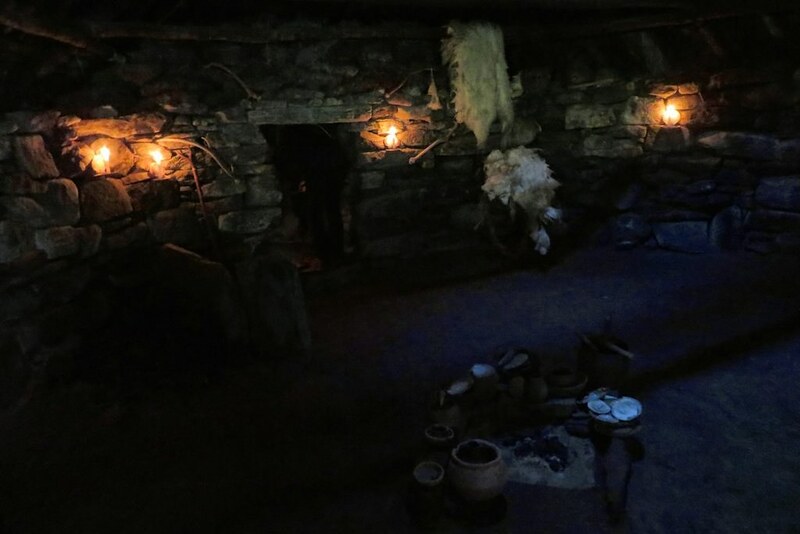 While obviously less ambitious than Caithness Broch Project’s aim to build a life-size reconstruction of a broch, the house is an excellent example of what can be done and of the benefits of recreating historical buildings using traditional methods. Traigh Bostadh and the reconstructed Iron Age house. This is how we think the Picts lived; it's all mood lighting & sheepskin rugs. Since I don’t think you want to hear about my days spent on the beach or wandering the hill country of Harris, this marks the end of my report. As forecasted, the trip ended with driving rain and winds so strong they uprooted our tent, leaving us soaked, cold and in need of alternative accommodation – next year we’ll probably just holiday in Greece. Dan Harris is a builder for Brick to the Past. He lives in the Scottish Highlands and enjoys hill walking, rock climbing and old piles of stones. All opinions are his own.